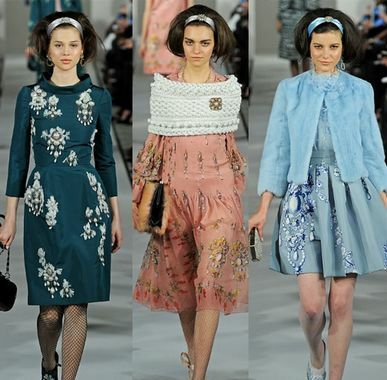 An outstanding representative in this regard is Oscar de la Renta. 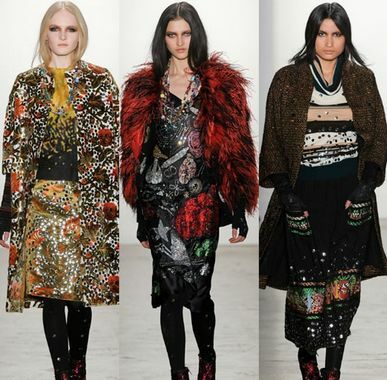 Although it is not a true "beauty," Oscar de la Renta2012's exquisite jewellery style printed on the fabric is fascinating. If Oscar de la Renta is a neat and elegant jewellery print, then Libertine is a jewellery collection. The criss-crossing sparkling jewels shine on the fabrics, sparkling and eye-catching. Even more interesting is that Libertine, who has joined the glittering elements of jewelry, has a playful hippie style at the same time, bold and casual, and a kind of uninhibited wandering style. 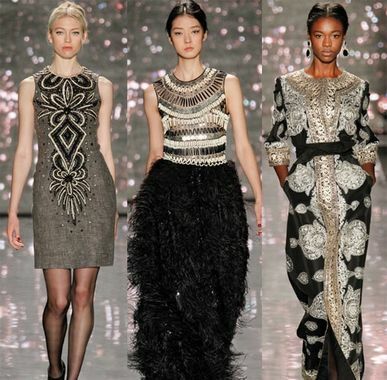 Naeem Khan's autumn/winter fashion in 2012 brought us glamorous jewellery. The silver and dumb gold jewellery designs with embroidery are full of ethnic characteristics. The patchwork arrangement of beads reflects the tribal style.